As a parent and a homeschooler, you have an “energetic interest” in your child’s education. You want them to succeed and experience the best, most inspiring educational experience in the world. But there will be stressful moments. Homeschooling is a tough job that not only brings joy but also trying times. As the adage states, nothing worthwhile comes easy. Your enthusiasm will wane at times. And for those times when you have trouble motivating yourself during the school year, you can use socialization as a way to help boost everyone’s mood and enthusiasm. The accusation used by some who don’t homeschool remains today. They proclaim that homeschooled children are mostly isolated and don’t have the proper socialization opportunities that other children receive. That is a myth. Below are just a few ideas to help your children socialize while at the same time boosting everyone’s mood and energy levels, including yours. 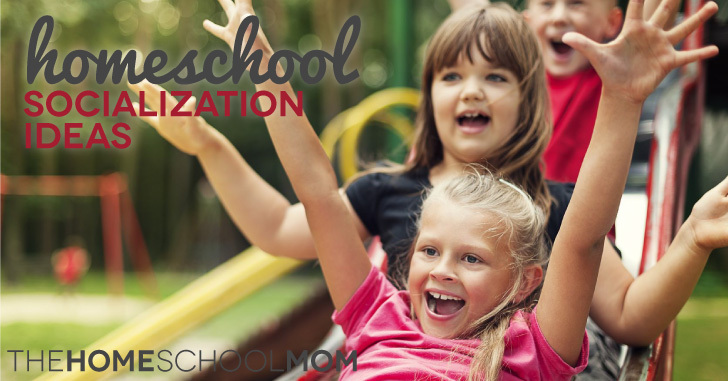 Whether it’s a support group, homeschooling network, or co-op, these organizations are comprised of homeschoolers that cooperate and work together to produce a caring and efficient learning environment. Families can receive support and advice from veteran homeschoolers, bond with others who can relate to you and your issues and concerns, and form new friendships. The group spirit and enthusiasm that emerges from a homeschooling group often helps new and veteran homeschoolers through the tough times. Field trips are fun – and they’re educational. And when you go with a bunch of homeschool friends, this helps build close bonds and memories. Opportunities for field trips are nearly endless. You can visit the local fire department, zoo, aquarium, state park, recycling center, and more. Just use your imagination and share ideas with your homeschooling friends. 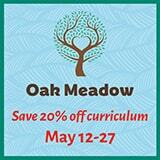 Some of these places even offer discounts for educators, including homeschoolers, so be sure to ask! Both music and sports teams also give your children a break from their daily school work – and they’re lots of fun. These activities provide an outlet that encourages creativity and mental toughness. 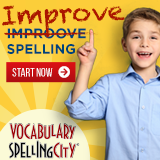 They spur enthusiasm and give you a chance to watch your children enjoy themselves as they perform. Playdates not only help children socialize, but they also get them excited about meeting with their friends. A playdate can be as simple as meeting another homeschooling family for a few hours at the park. Not only can your children let all their energy out, you can get some time for yourself with another adult swapping stories and sharing ideas. Who says you have to leave the house to socialize? Boosting enthusiasm can be accomplished from the comfort of your home too. Here are some ideas. Children are becoming computer literate early on. They can easily keep in touch with friends through email, snapchat, or other apps. Be sure to always monitor their conversations, online activity, and know who their “friends” are. Remember snail mail? The good old-fashioned way of keeping in touch? Finding pen pals, whether in the U.S. or overseas, is a great way for your children to engage with other interesting people. It not only expands their knowledge about the world, it also helps them communicate using written language. Socializing doesn’t just stop with talking to other people. You can teach your children how to do the laundry, wash the dishes, clean up their room and perform other household chores. This broader view of socialization will help them become better functioning adults. Your “energetic interest” and passion for your children’s educational experience will create an enthusiastic atmosphere as you progress through your homeschool journey. But just like any other emotion, enthusiasm will wane, which is why it’s important to remember that you’re not alone. Millions of other parents have done it, books have been written about it, and a whole network of people are there to support you. Yes, there will be tough days and weeks, but you can most certainly keep your enthusiasm level high by using these tips and just remembering that you have a purpose. Give it your all and enjoy the wonderful times with your children.